Sure, they know the old Honest Abe myth, however, this new incarnation of the Lincoln myth let’s them see deeper into the real man. Knowing more about and getting to know the real man, one gains a better appreciation for his achievements, both personal and political; makes him relevant. The author does take some liberties with history (beyond the addition of vampires) which are completely forgivable. For the curious, I suggest reading a little more about Mrs. Lincoln’s behavior while in the White House. Or watching some the documentaries available on Netflix. The desire to give this book to my students is overwhelming. And before you ask, yes, I am serious. There is already a waiting list for Grahame-Smith’s other book: Pride and Prejudice and Zombies. Place this book in front of students and they will eat it up, literally. The student who is currently reading PP&Z pulls the book out anytime she perceives a lull in class. (Please not the word perceives in the last sentence. )This book like Grahame-Smith’s other books takes the traditional and transforms it for a new generations. Lincoln’s life which has always appealed to lovers of history now catches the eye of supernatural enthusiasts. In case, you didn’t know Lincoln, like all of us had issues, big ones and still made his life something great. He didn’t hold a continuous pity party for himself given the losses he suffered. There is a lesson in there about not making your issues into excuses. Furthermore, the multidimensional geek inside of me was tickled purple while reading. Historical fiction can get a little caught up in details to the detriment of good story telling, but an alternative history like this takes the past and makes it a little naughty. It is that naughtiness (of the wholesome vampire hunting variety) draws the readers in and keeps them engaged through the novel. 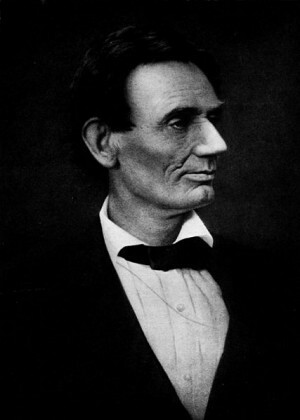 It is presented as a serious history drawn from Lincoln’s own diaries. The combination of narrative, historical fact and primary sources (in the form of the diary) makes the whole book plausible as well as that key word in education, engaging. This story wraps itself around the reader and presents both fact and fiction in a way that invites the reader to drink up both with an insatiable appetite. I picked my copy up at a used bookstore, but you can find it on Amazon in both paperback and Kindle incarnations. Course, there is nothing wrong with searching a few used bookstores for it. You never know what you might find. This one is much better than PP&Z, which I liked as well. It was my introduction to Jane Austen. Here the author’s talent really shines. There is something about zombies and vampires that just makes everything better.